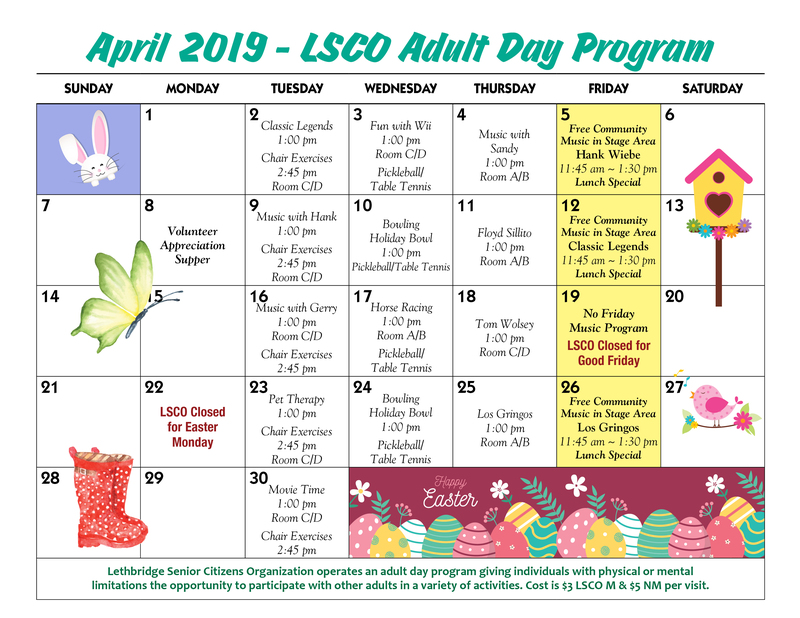 Lethbridge Senior Citizens Organization operates a day program giving individuals with physical or mental limitations the opportunity to participate with other adults in a variety of activities. The Adult Program provides an environment that promotes social, physical and mental stimulation and a change from every day activities. Individuals experience an increased sense of self-worth by participating in activities within their capabilities. 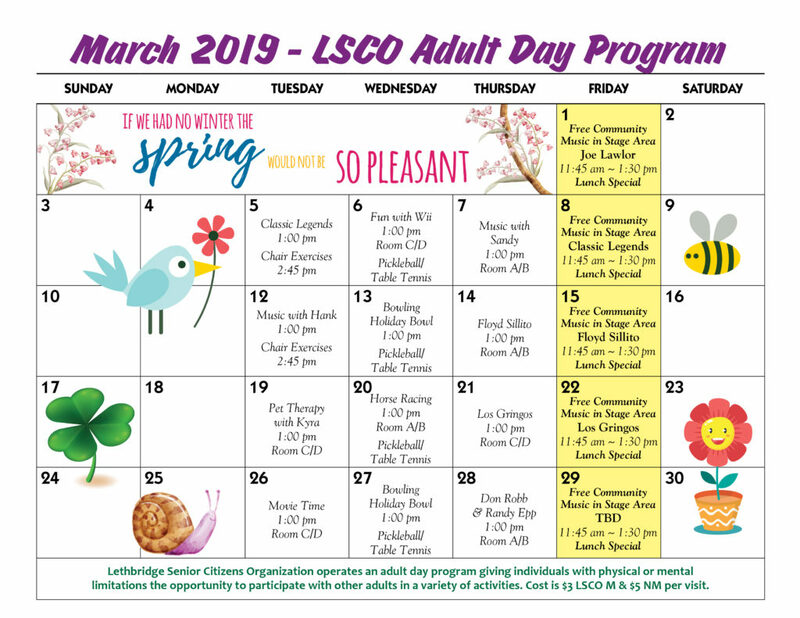 The program runs Tuesday, Wednesday and Thursday from 1:00- 4:00 pm at a cost of $3/day if individual is a member of LSCO and $5 if not a member of LSCO. Click on the link below to view or download the ADP Brochure.